Dawn McPherson recently joined GCG’s Client Relations Team to focus on the expansion of GCG’s mass tort and regulatory service lines. Ms. McPherson brings several years of experience on GCG’s Operations team gained while handling all aspects of consumer, wage and hour, and antitrust class action settlement administrations. Dawn McPherson recently joined GCG’s Client Relations Team to focus on the expansion of GCG’s mass tort and regulatory service lines. Ms. McPherson brings several years of experience on GCG’s Operations team gained while handling all aspects of consumer, wage and hour, and antitrust class action settlement administrations. During that time she worked with a number of top U.S. phone carriers handling complex data and Customer Proprietary Network Information (“CPNI”) issues on cases including AT&T Landline Third Party Billing Settlement, and the T-Mobile Premium SMS Refund Program, and was often called upon to handle administrations involving complex distributions. She also worked on dozens of cases involving legal notice publication campaigns, complex large email and postcard notice campaigns, reminder postcard campaigns, and specialized sub-classes. 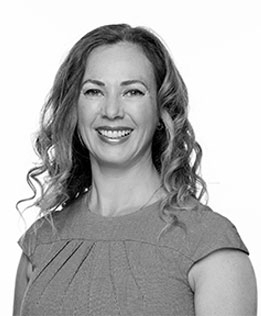 Prior to joining GCG Dawn was Partner and Head of the Real Property Department at Fisher Meredith Solicitors in London where she was recognized nationally as a leader in her field. Solicitor of the Supreme Court of England and Wales, U.K.